November 19, 2018—The midterm elections were not the only source of Washington-related news in recent weeks with implications for the health care system. 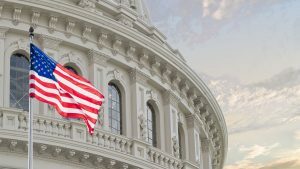 When it comes to 340B, several key events occurred in the days leading up to Election Day that might have longer-lasting implications for the program than the makeup of the 116th Congress. The Trump administration in late October asked for comments ahead of a planned set of regulations aimed at more closely aligning Medicare outpatient drug prices with what other countries around the world pay for those drugs. This move would allow private companies to negotiate prices for drugs supplied to hospitals in certain geographic areas of the U.S. instead of Medicare paying the hospitals directly for the outpatient medications that they administer. More specifics on this International Pricing Index (IPI) model are still months off, but it raises several major questions for 340B in the meantime. Would such a model eliminate the ability of safety-net hospitals in the affected regions of the country to buy and bill for 340B drugs, an essential element of using the savings to enhance patient care? How might the model impact prices of 340B drugs for hospitals that are not subject to the model? Would 340B hospitals that are prohibited from participating in a group purchasing organization be able to participate in the IPI without running afoul of the prohibition? It took more than eight years and a federal lawsuit from hospital organizations, but it appears that penalties on drug companies that overcharge hospitals for 340B drugs finally will be taking effect on New Year’s Day. Organizations representing 340B hospitals – including 340B Health – sued the federal government after repeated postponements of the pricing transparency regulations that were mandated by Congress in 2010. Bowing to the pressure, the administration in late October released a proposed rule moving up that effective date from July 1, 2019, to January 1, 2019. Hospitals are not easing up on this issue, however, and are urging the government to stick with the new effective date – and urging the court to hold the administration to it. The overcharging penalties are a prelude to another congressional requirement to post 340B drug ceiling prices online so hospitals can be sure they are being changed the correct amounts, and hospitals are calling for that resource to come online as soon as possible after the new year. As it had proposed to do earlier in the year, the administration in early November finalized nearly 30 percent Medicare pay cuts on many 340B hospitals into 2019 and extended those cuts to non-exempt hospital outpatient prescription departments starting on Jan. 1. The development means continued pain for hospitals and health systems that already have reported being forced to cut back on patient care offerings, decrease community health benefits, and postpone planned care expansions since Medicare first reduced pay in January 2018. The administration decision also puts the spotlight back on a Congress that has seen a bipartisan swell of support for 340B hospitals in recent months. Legislation that would reverse the Medicare cuts has 200 cosponsors in the U.S. House, and U.S. Senate Minority Leader Chuck Schumer (D-N.Y.) recently went on a multi-region tour of New York safety-net hospitals to show his support for protecting the program.